"Ojas" is a Sanskrit word, which literally means "the essence of immunity and well-being". It is formed as an end-result of all metabolic activities, and according to the ancient medical literature of Ayurveda, it is present as a few drops in the area of the heart chakra. In the same way the cerebrospinal fluid is responsible for intelligence, ojas is an elixir our body manufactures, which is responsible for our health at the end of the day. Its presence is radiated through glowing skin, sparkle in the eyes, good immunity and a radiant aura. Ojas in every individual can be increased with a pure and wholesome lifestyle, diet, herbs, positive thoughts and emotions. Conversely, pollution, toxins, stress and negative thoughts decrease our ojas. By delving into a 5,000 year old medical tradition of the past, Ojas® the brand has rediscovered the importance of our individual ojas, our elixir of well-being. The healing modalities of Ayurveda are being validated by modern science today. It is only a matter of time before modern science confirms the presence of ojas in us. In the meantime, this ancient knowledge from the past has enabled Ojas® to take a giant leap forward in terms of enhancing your beauty, health and well-being. Ojas® will optimize the ojas in each individual with the power of purity, inherent in its entire range of products. Ojas® is an eco- friendly brand with careful attention given from ingredients used to the packaging of its products - all intended to benefit health as well as Mother Earth. 100% Chemical Free is the basic essence of all Ojas® products. No preservatives, No artificial coloring and No artificial scents or fragrances added to any of its products at any stage of its production process making it completely safe for all including children. Ancient Ayurvedic Formulated Oils uses naturally extracted oils from fresh locally grown coconut fruit. Thai medicinal herbs are blended on low heat for days (to fully extract the medicinal properties) using special solid brass pan to avoid any accumulation or release of chemical from the utensil when heated for long duration. 100% Non-Toxic and Reusable packaging materials are used such as glass bottles, wooden lids made from plantation Siam Rosewood and creatively designed, handmade bags made from 100% natural fibre. We have consciously avoided frivolous packaging gimmicks, our humble way of protecting and conserving the environment. Hansa Thakral started her journey on the path of holistic healing by sheer coincidence. Her father, a patient of high blood pressure for 30 years, was suddenly bed-ridden following a stroke at the age of 70. Seeing no improvement from modern medicines, the family resorted to alternative healing therapies, Ayurveda to be more specific. Hansa witnessed tremendous progress in his health first-hand, which inspired her to learn more about the ancient holistic Science of Ayurveda from India. 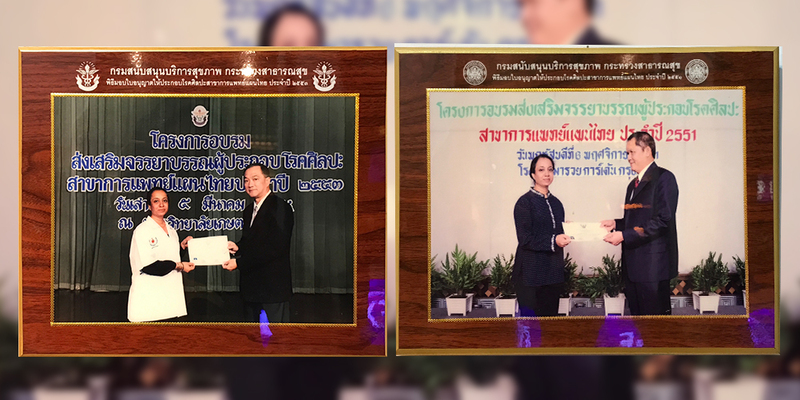 However, being a mother of two growing children in Bangkok, going abroad to pursue this education was not an option at the time for her. Instead, Traditional Thai Medicines (TTM), which mainly derives from Indian Ayurvedic practices, seemed a viable option to get started in this direction. With vital zest, she sets off on her quest for knowledge. Little did she know that this leisurely pursuit would soon transpire into a profession! Being a Thai of Indian origin, Hansa very conveniently blended the two healing traditions and applied them in formulating oils and other home remedies for common ailments. She shared her healing remedies readily with near and dear ones. Positive feedback and repeat orders soon followed from family and friends leading to the birth of Ojas – Power of Purity, Thai Herbs with a touch of Ayurveda! In Hansa’s own words "Ojas® is a fruit of painstaking and meticulous endeavour of my husband, Amar who applied the wisdom I learnt, creating a wide array of products which worked miraculously in healing as well as prevention. To spread this hidden wisdom and reach out to national as well as international audiences, we had to package and market our products in the right manner, meeting the needs of today’s demanding consumers. True to his name, Amar which is a hindi word meaning Eternal, my husband never gave up no matter how tough the obstacles ahead were. It took almost two years from coming up with a concept to finally implementing it but his strong will kept this project alive. The journey was an experience, meeting people I would have never met, learning and being inspired by individuals from all walks of life. Dr. Netredao Yuangsri is one such individual who was always there to guide and selflessly shared her knowledge with me, instilling in me the confidence of the power of holistic healing. I will never be able to thank her enough. Accredited from Thai Ministry of Public Health. 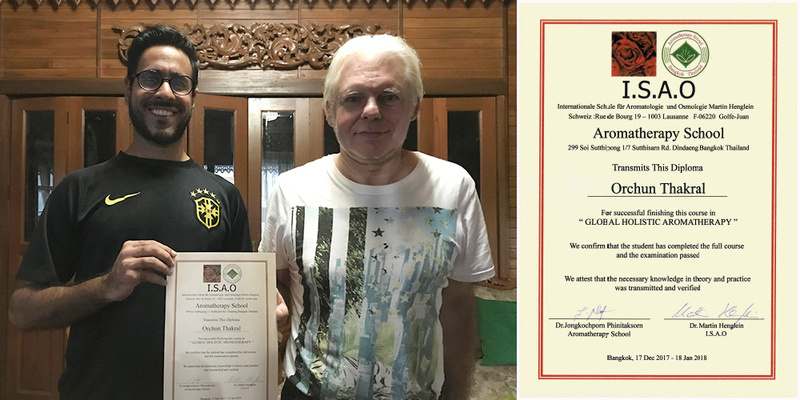 Hansa also completed complementary courses at the Institution in Postnatal Care and Thai Traditional Massage. 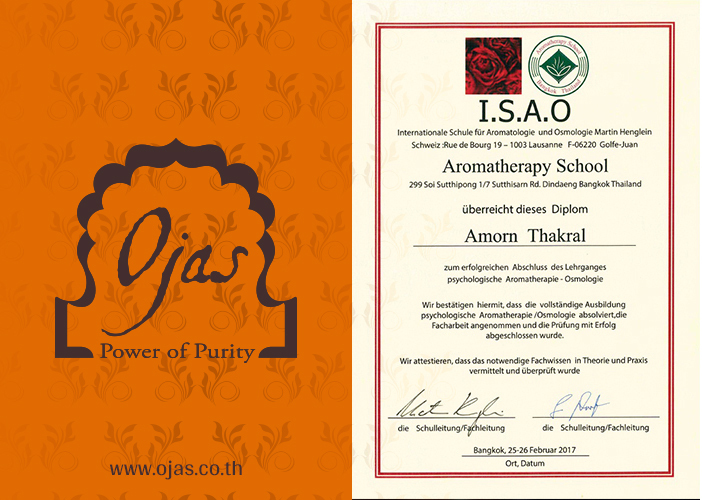 Accredited from International school of Aromatologie and Osmology By Martin Henglein. 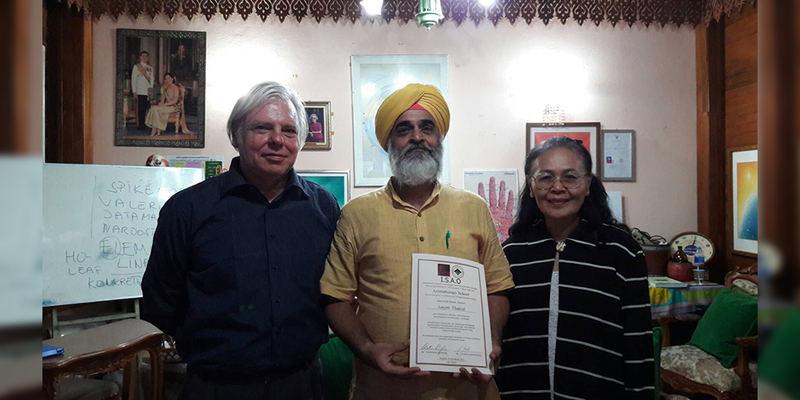 Dr. Hansa Thakral currently offers consultation and treatments and volunteers as Pharmacist at Dr. Netredao Yuangsri free Thai Traditional Medicines clinic. Dr. Yuangsir is a renowned practitioner of Thai Herbal Medicine, a professor at Ministry of Public Health and holds a weekly radio talk show to raise awareness of Thai Herbal Medicines.